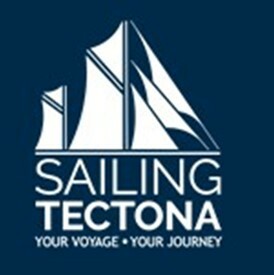 The Training Ship ‘Tectona’, a 60 foot ketch was built in 1928. Between 1964 and 1980 she was formally owned by the ‘Lord Mayor, Aldermen and Citizens of the City of Plymouth’. Under their ownership she served as the training vessel for Plymouth School of Navigation. In 1980 she was sold and after a period under foreign ownership, was purchased in 2008 by the late Dr Roger Crabtree. The Tectona Trust was set up with the objective of ‘helping people of all ages to benefit from experience on traditional sailing craft including those with mental health issues and those recovering from addiction’. Before the tragic death of Dr Roger Crabtree ‘Tectona Trust Ltd’ in late 2018 the Tectona Trust was entered into the 2019 People’s Project – a national competition supported by The National Lottery. Early this year the Tectona Trust was delighted to find that it had been selected as one of five regional finalists. The prize for the winner is £50,000. If the ’Tectona Trust Ltd’ were to win the award will be used to provide voyages of recovery for the local community. You can help us win the award by voting for the ‘Tectona’. Voting takes place between 9 a.m. on April 1st and midday on April 15th. This costs you nothing and can be done by (i) pressing a computer button to choose your preferred winner and (ii) verifying your vote. On April 4th a film on the work of the Tectona Trust will shown on the 6 o’clock edition of ITV West Country News. The film will then appear on the People’s Project website. Please ‘VOTE TECTONA’ … Thank You.